Telluride Medical Partners manages early-stage medical device companies providing value-added operational leadership and strategic business planning. Whether taking the company to full commercialization or an early exit through acquisition, Telluride Medical Partners utilizes its internal team of experts and vast network of industry professionals to realize each company's unique business objectives. Learn more about Telluride Medical Partners' companies below. 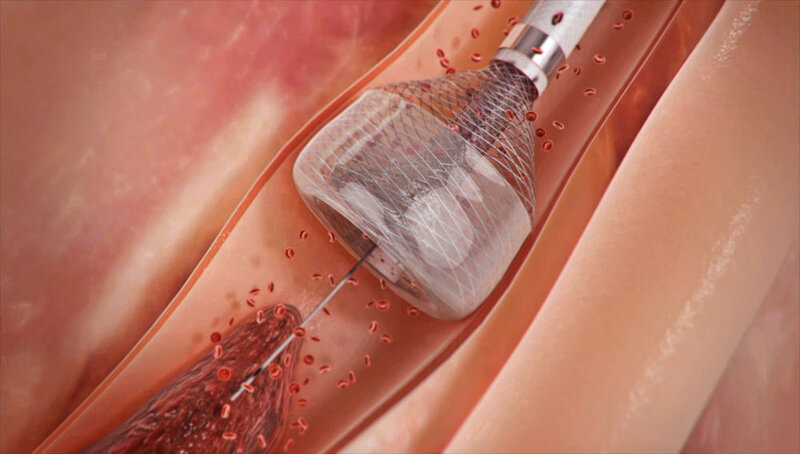 Capture Vascular’s proprietary MegaVac Mechanical Thrombectomy System is a disruptive technology that offers several unique features in one simple device such as centering and securing the occlusion funnel tip position within the vessel, as well as being able to pass other lesion devices through its lumen. Its broad indications for use makes it appropriate for several key markets with a total worldwide market opportunity greater than $500M. Chrona Sleep’s proprietary sleep therapy technology applies acoustic neuromodulation to enhance sleep and neuroplasticity, targeting more than 113 million sleep-deprived Americans. The market is expected to experience explosive growth with projections of one billion sleep therapy devices to be sold in 2020. The technology also has clinical implications and could be a disruptive cognitive rehabilitation treatment for PTSD patients. Lighthill Medical is developing a family of catheters for the delivery of oncology agents for image-guided, minimally invasive interventional procedures. Over 700,000 individuals globally are diagnosed with liver cancer alone every year and 85 percent are non-resectable, which equates to 573,000 individuals who are potential candidates for targeted therapy. This represents a $340M market opportunity. data-driven solution for mechanical ventilation weaning and prediction of post-extubation complications utilizing a proprietary open-loop algorithm along with additional sensor inputs across the thoracic cavity. As an accessory product business model, Nespiro’s market is an estimated $192M in the US specific to disposable components alone. Nectero Medical has developed a compound that can be used for early treatment in patients living with abdominal aortic aneurysms (AAA), a condition associated with impaired arterial wall integrity that can lead to abnormal ballooning of the artery and, eventually, fatal rupture. Potential customers include the 1 million people in the US living with AAA between the size of 4.0 and 5.0cm in diameter. Daily stresses create tension buildup within the jaw muscles and can lead to headaches as the jaw, head and neck muscles are all interconnected. Just like stretching any other part of the body, stretching the jaw muscles with Relēver will have a cascading effect throughout the head and neck muscles, ultimately relieving and reducing tension headaches.